Anne Reali's husband Joe was part of a team at Boston Scientific that designed the heart stent she had implanted. Joe Garner and Anne Reali. 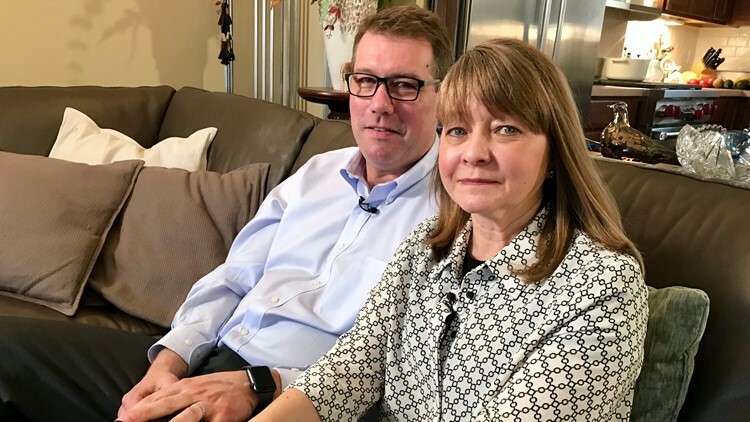 MAPLE GROVE, Minn. — Joe Garner worked for years on a life-saving heart stent. It was time well spent. The device just saved his wife’s life. “I was part of something that now is part of Anne, so I think it’s really cool,” Garner said. 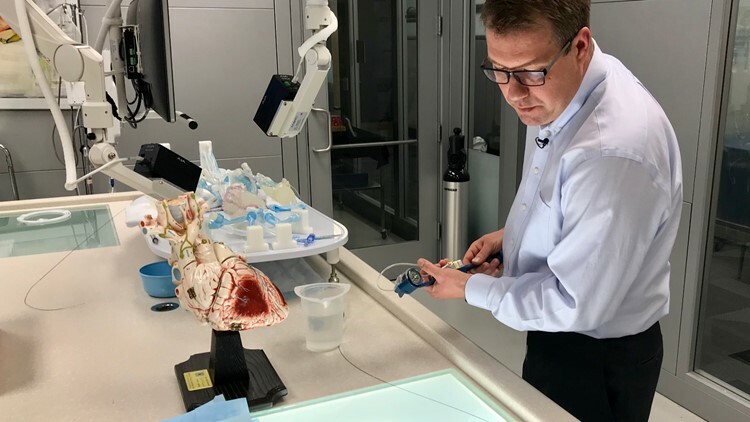 Garner was part of a core design team of 10 to 12 people tasked with developing the SYNERGY stent at Boston Scientific’s Maple Grove, Minnesota campus. The stent came to market in the United States in 2015. Last month, Garner was at the family cabin while his wife Anne Reali stayed with her parents. “I kind of didn't feel great after dinner,” Reali said. Hours later she knew this was more than a case of indigestion. Joe Garner at work at Boston Scientific's Maple Grove, Minnesota campus. “My watch kept alarming and it was telling me my heart rate was over 120 at rest. So, I finally, just admitted to myself, I do believe this is a heart attack,” Reali said. Reali was by rushed ambulance to Methodist Hospital, where a surgeon implanted the stent that reopened a clogged artery, saving her life. Only after the surgery did Garner learn the stent he helped design had been implanted in his wife. 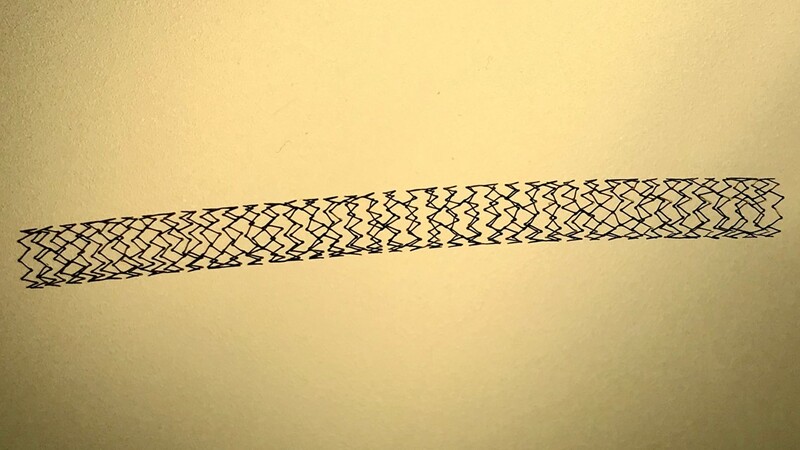 The SYNERGY Bioabsorbable Polymer Stent on which Joe Garner worked for Boston Scientific. Reali – who also works for Boston Scientific – finds comfort knowing her husband was partly responsible for the stent she’ll carry with her the rest of her life. “He'll be in my heart forever,” Reali said.